This is a guest post by Gregg Thompson. 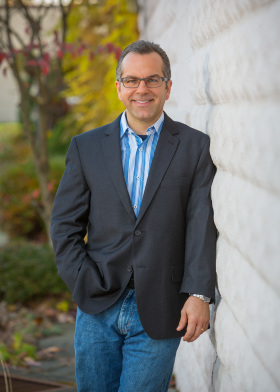 Gregg is the author of THE MASTER COACH: Leading with Character, Building Connections, and Engaging in Extraordinary Conversations and President of Bluepoint Leadership Development. At the risk of sounding too idealistic, there are few things in life that are more rewarding or more meaningful than being instrumental in helping others have better lives. I often refer to coaching as a calling or mission because I believe there is something inside each of us that comes alive when we have an opportunity to be of real service to others. One of the key foundation stones upon which successful coaching is built is conversation – the dialogue you have with the people you are coaching. But this conversation involves much more than just talking with others about their goals and dreams. As a coach, your job is to create a space in which other people will regularly have conversations that not only uncover new ideas and generate innovative solutions, but that result in entirely new attitudes and behaviors, and that forge commitments to make significant, sustained personal changes. However, while rich dialogue can uncover new ideas and generate innovative solutions, this kind of interaction alone is not coaching. Where dialogue pursues new ideas, coaching pursues entirely new attitudes and behaviors. Dialogue is the talk; coaching is the walk. How many conversations do you have during an average day? How many of them really matter? The great coach understands why some conversations matter and some conversations do not. Most on-the-job conversations involve the exchange of information, instructions, advice, and opinions and have relatively predictable outcomes. While these conversations are quite suitable for normal business transactions, they are quite ineffectual in the coaching process. When I think about a great leader, I inevitably think about someone who is a great coach, understanding my weaknesses, but helping me play to my strengths. From John Wooden to my favorite manager, a coach is someone who unlocks talent. Gregg Thompson wants to help leaders throughout organizations become great coaches. 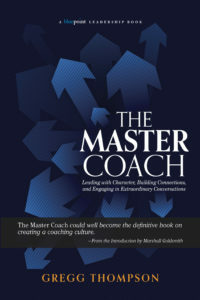 THE MASTER COACH: Leading with Character, Building Connections, and Engaging in Extraordinary Conversations is his new book, written to help make coaching the part of your culture. He’s the President of Bluepoint Leadership Development and has coached senior leaders in many Fortune 100 companies. I recently talked with Gregg about becoming a master coach. Share with us the Gregg Thompson definition of a master coach. A Master Coach is someone who, through their conversations, helps others accelerate their learning and increase their performance. The Master Coach is not an advisor but, rather, a catalyst for sustained personal change in individuals. The Master Coach is a positive and creative force that challenges the person being coached to move from intention to action and holds the person accountable to do that. The Master Coach has highly-tuned interpersonal skills but is much more recognizable by who they are rather than what they do. They are men and women of exceptional integrity, sincere humility, noble intention, and a high degree of emotional intelligence. They take people into uncharted territories, challenge them to consider new perspectives, and help them plot significantly more fruitful paths forward. What do people get wrong when they think of a great coach? People often think of the great coach as someone with the expertise and experience to provide great advice and sage wisdom. While occasionally coaches will have valuable perspectives and insights to share with those they coach, this is not their prime role. Their prime role is to help others find their best answers, solutions, and action plans. Some people also make the assumption that a coach is a counselor. Coaching and counseling, both powerful processes that can help to improve lives, are deeply different. 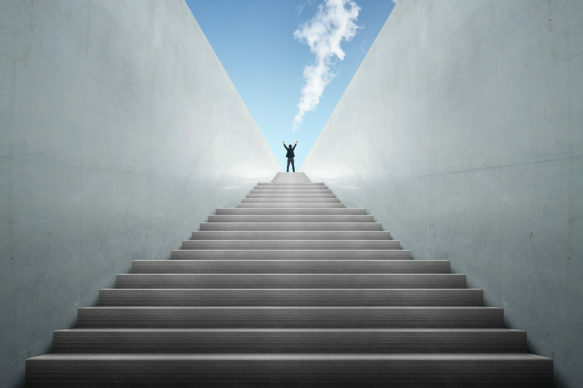 Coaching is dedicating time and attention to help the person being coached to be the best version of themselves going forward while counseling usually involves resolving past difficulties and issues. What’s the difference between a coach and a mentor? A mentor can function in a coach-like manner, but their role is more of a career advisor than a coach. The mentor is usually someone with deep knowledge and expertise in a particular field and uses this to help more junior individuals accelerate their development and career growth. Coaching, on the other hand, requires no expertise in the discipline of the person being coached. In short, anyone can coach anyone.